Hot off our most recent travel adventure to Spain and Morocco, be prepared to read more than one post from me that has to do with the amazing food and drink we encountered. 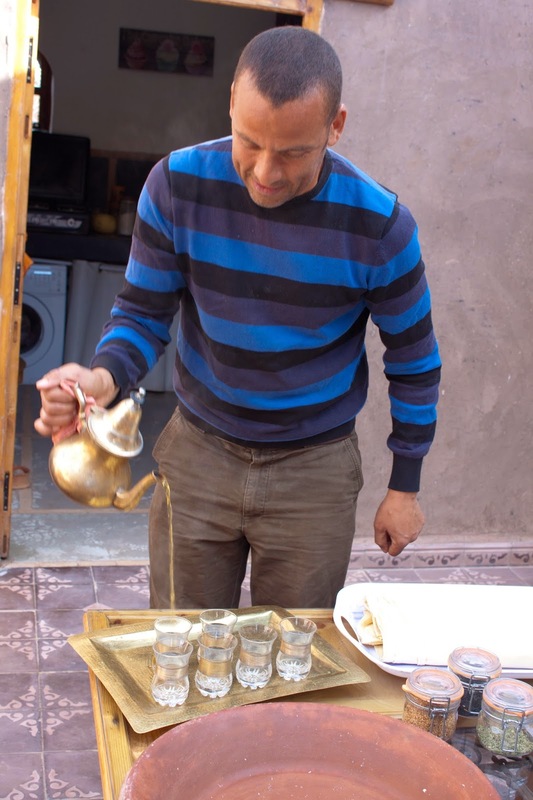 Today it's Moroccan Mint Tea, the Moroccan drink of choice and now mine as well. 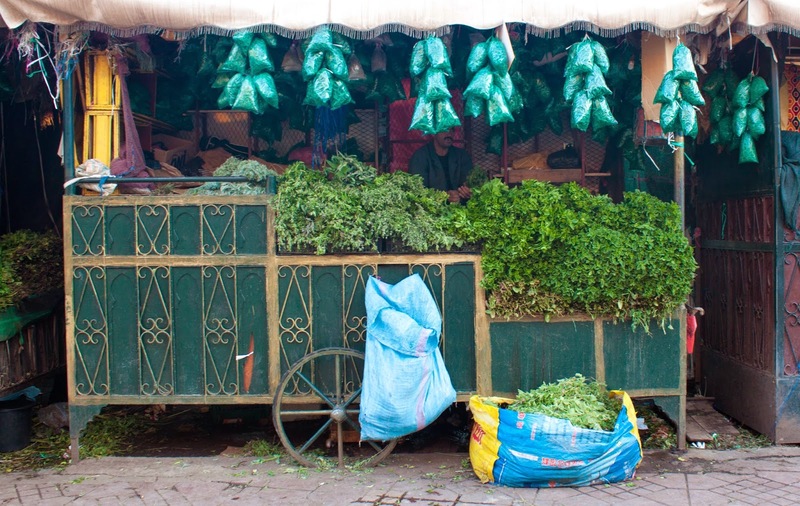 No matter where you go in Morocco, you will be greeted with lovely mix of green tea and fresh mint leaves. Hotels, restaurants, houses, even rug sellers all had a fresh teapot waiting for us. 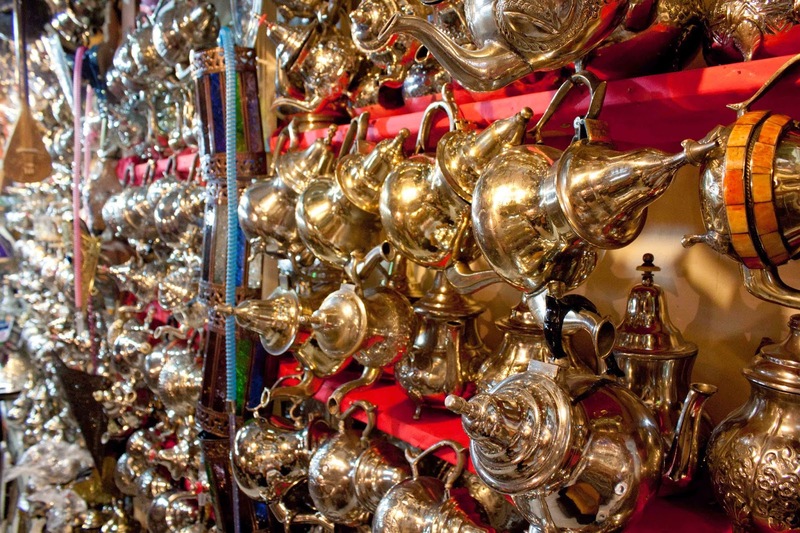 Rows of shiny pots hang in the markets and piles of fresh mint are plentiful; my favorite glass of tea was from a unassuming cafe in the little beach town of Asilah. 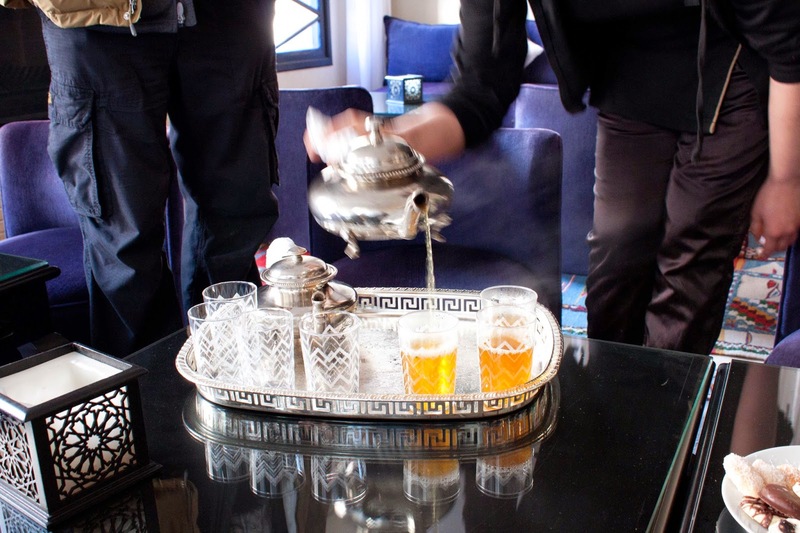 The act of tea in Morocco is a ritual, a sign of friendship, a welcoming and a matter of etiquette. Served from shiny silver teapots, the tea is poured with bold grace from high above into small, ornate glasses. It is felt this aerates the tea; I'm not sure I would notice the difference but the performance is exciting to watch and and completes the ceremonial act. Did I mention it's also delicious? Green tea is considered one of the world's healthiest drinks with it's anti-inflammatory and anti-carcinogenic properties. Mint has been know to alleviate indigestion, nausea and headaches while quenching free radicals, clearing congestion and help to inhibit the release of histamines which often spur allergy symptoms. Mint also grows like a weed so this is a perfect way to use it up. 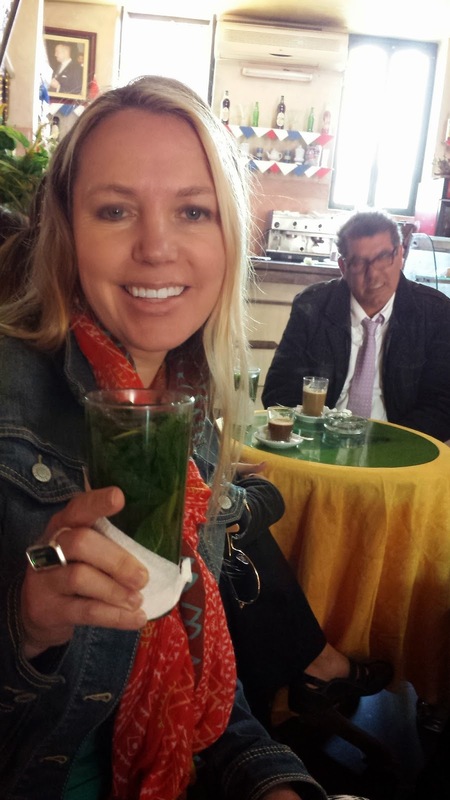 Add mint to your green today today, make a spectacle while pouring it and then sit, take the time to enjoy your glass while you feel the worldly atmosphere of the Moroccan culture. Happy really does eat healthy. Healthy Hints: This tea is always served sweet, but the benefit of making your own is that you control the amount of sugar used. If you add enough fresh mint, you may even find you don't need the sugar. 1 bunch fresh mint (preferably spearmint). Steep the tea in the hot water for about 2 minutes (tea can become bitter if you over-steep it). Add in the sugar and the mint and steep for another 3 minutes. Serve in small glasses with a napkin to protect your fingers from the heat. I like to add additional fresh mint to the glasses for an even great mint hit.